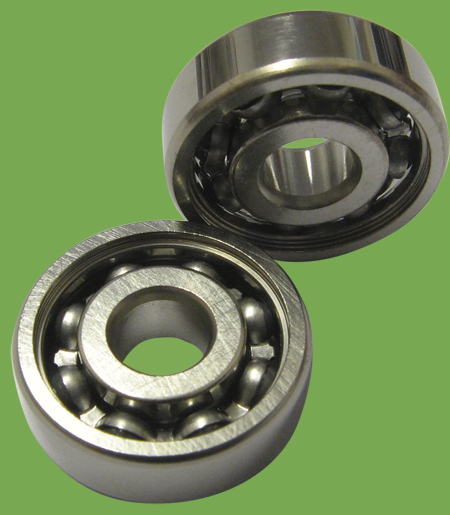 Precision bearings are available in a variety of sizes including the standard 6.25mm (¼”) size. They are available with either stainless steel balls or for more demanding UHV applications ceramic balls are used (please call sales office for details of ceramic bearings). Bearings are supplied either with no lubrication or with Dicronite™ dry lubricant coating. 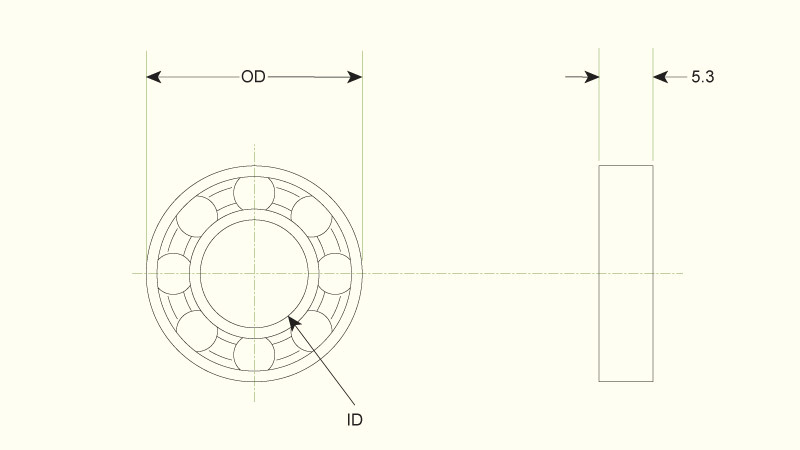 Non lubricated bearings are bakeable to 250°C, lubricated bearings are bakeable to 150°C.